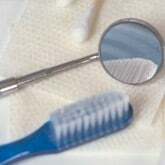 DentalPlans.com offers you an easy, convenient way to find a dentist in Torrance, CA in our extensive dentist directory. Just type in your ZIP code now to save money on General Dentistry with an easy-to-use discount dental plan. Choose the discount dental plan that is best for you and save on your dental care bills at dentists such as Dr. Vijaya S Kiran. Then, just go see Dr. Vijaya S Kiran or any other participating dentist in Torrance, CA to receive discounts on most dental care procedures including General Dentistry. At DentalPlans.com, our discount dental plans start at only $79.95 per year and will offer you discounts on General Dentistry and other dental care services. By searching our large dentist directory, you can find many general dentists, family dentists and dental care specialists like prosthodontists, endodontists, and pedodontists. So whether you need a dental exam or are suffering from a toothache, cavity, or other dental care issues, we can easily help you find a dentist or dental care specialist in Torrance, CA.